While the building was only converted into a hotel in the late 1920s from its original form as a sea captain’s residence, The Regent has quite a history. When the Second World War broke out, it was used as the co-ordinating centre for the Coastal Gunnery around the western approaches. Next it became the General Headquarters of American General Omar Bradley, who arrived to orchestrate the training of US troops for Operation Overlord – the name given to the Allied attacks on Normandy. When he left, General Bradley was replaced by a contingent of the 29th US Rangers and, after them, the 134th US Infantry, who took up residence and proclaimed it their home. During the early 1970s, the hotel was purchased by the late Mr and Mrs SH Varnals, parents of the present owner Keith. Keith and his wife Sandi, who met at The Regent when Sandi stopped in for directions 35 years ago, both herald from outside of Cornwall – Keith was born in Battersea and Sandi in Harrow – but that hasn’t stopped them accumulating a wealth of local knowledge and an intimate love for the Duchy’s unique culture and beautiful landscape. Keith and Sandi adopt a hands-on approach to running The Regent, and they believe firmly in supporting other Cornish businesses and producers. 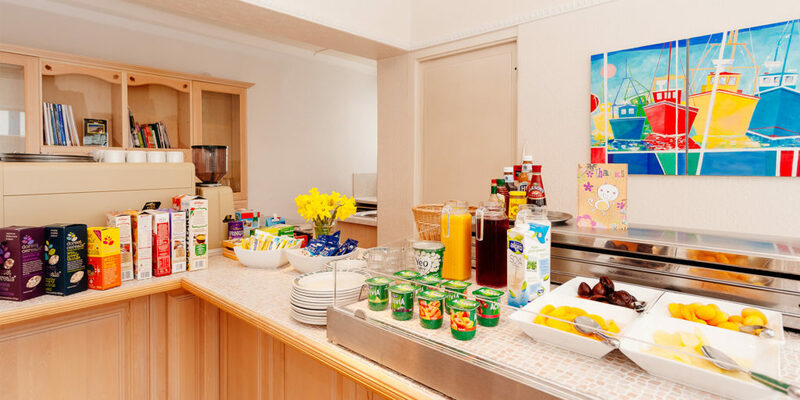 For instance, Keith cooks the breakfast himself, using only the freshest ingredients from the local area, including locally caught seafood. 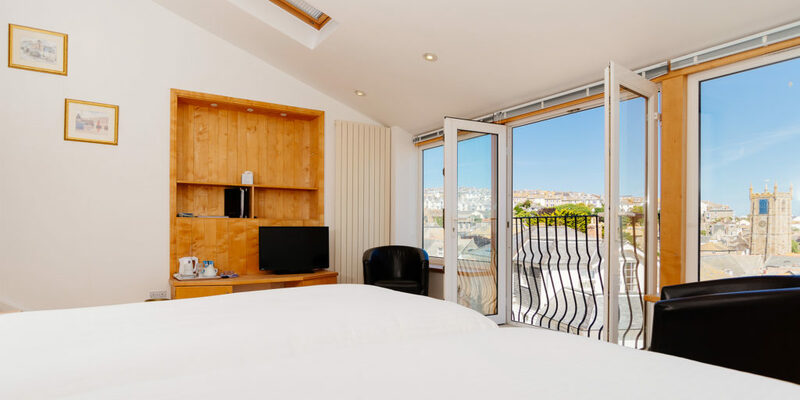 The hotel, which has 10 comfortable en suite rooms, enjoys stunning views of St Ives coast, while the town itself – highly sought after thanks to its cobbled streets, charming fishing cottages, galleries and vibrant foodie scene – is right on the hotel’s doorstep. 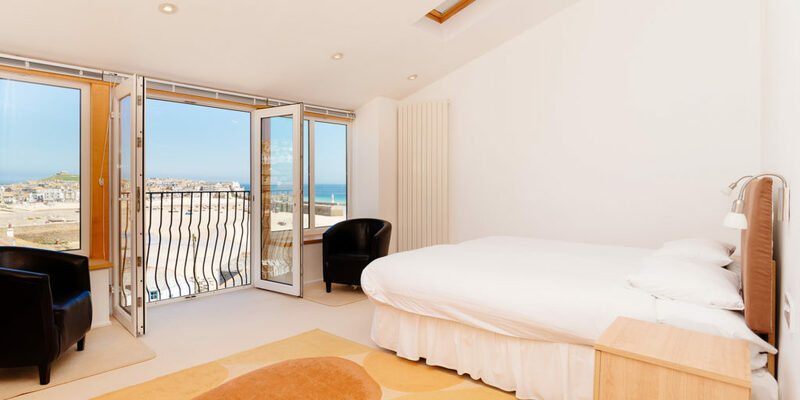 Whether you like to spend your days relaxing on the beach, walking atop the coast path, cycling through the countryside, or perusing the inspired collections of work from local artists and those drawn here by its unique, clear light, St Ives is perfect. 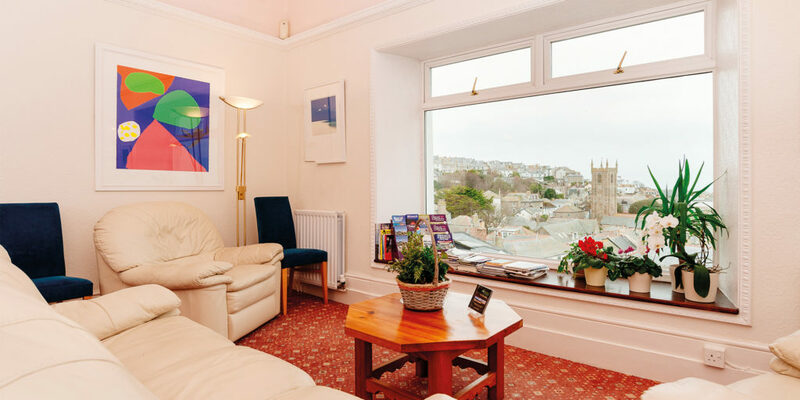 There’s a reason why guests of The Regent return up to four times a year, so why not make it your base on your next Cornish adventure and see what all the fuss is about? "... using only the freshest ingredients from the local area, including locally caught seafood."